With 12 unique #1s, 10 first-time chart-toppers and a local music renaissance, there were no shortage of headlines at Australian radio in 2018. 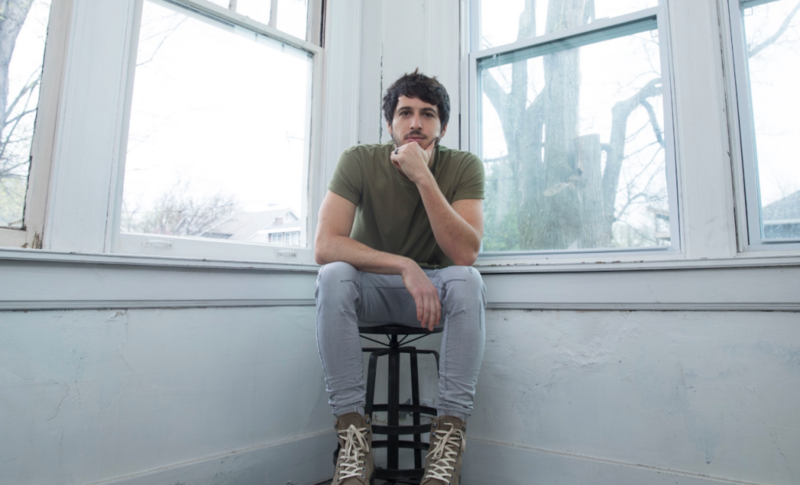 The achievements of Aussie act Morgan Evans are a perfect place to begin. Country music has teetered on the verge of something very special since Sam Hunt graced commercial airwaves in 2017, and with Florida Georgia Line reaching #1 as a feature artist on Bebe Rexha‘s ‘Meant To Be’ in January, the stage was set for a wholesome and timely twist. About five months on, the Newcastle native – wielding an undeniable pop-country drinking anthem – swooped in to become the first lead country act since Taylor Swift to top the TMN Hot 100 Airplay Chart. ‘Day Drunk’ spent two consecutive weeks at #1 on the Hot 100. 2018 could well be remembered as the year of the soundtrack single. A spate of popstars paired their talents with the big screen with radio emerging as a prime beneficiary. From Liam Payne & Rita Ora’s ‘For You’ to Kesha‘s thumping rendition of ‘This Is Me’, a total of six soundtrack singles secured a spot on 2018’s Annual Hot 100. However, nothing could compare to Lady Gaga & Bradley Cooper. Once flamboyant and outrageous, Gaga returned in 2018 without the extravagant costumes and provocative lyrics. The singer was instead bearing the identity of a young singer-songwriter from the box office smash A Star Is Born, and helped on by Cooper’s earthy tones, spawned the only single from a soundtrack to reach the chart’s summit in 2018 with ‘Shallow’. When thinking about the most eye and ear-catching stories of 2018, who can overlook Post Malone? A genre-bending phenomenon, the rapper was Most Added To Radio on three occasions in 2018 and had as many entries (as lead artist) on the Annual Hot 100 chart. Only UK’s Dua Lipa and masked DJ Marshmello (four each) could best his efforts in this category. 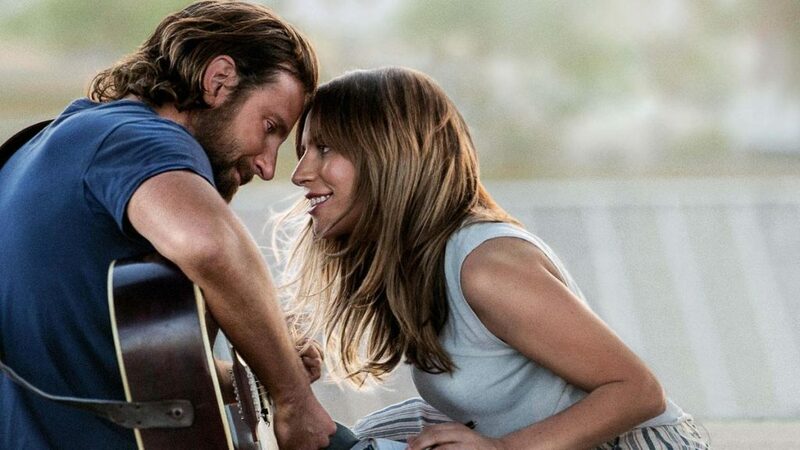 Gaga & Cooper rendered the first #1 airplay soundtrack single since 2016. Turning our attention to homegrown talent, exactly 20% of the Annual Hot 100 consisted of Australian artists. While this number may seem paltry considering the bumper year that was for Aussie music, you need not look far for a silver lining. Overall, commercial radio patriotically doubled its airtime for domestic artists in the space of one calendar year, seeing a drastic improvement on the state of the format 12 months ago. However, 2018 did take some time to get rolling for the Aussies. In fact, it wasn’t until Q2 that things started to take a turn. Lewis topped the Hot 100 for eight unbroken weeks, the longest streak of 2018. The quarter will go down in Australian music folklore for many reasons. Not only did it deliver career-defining singles for three of our premier acts – Amy Shark, Dean Lewis and 5 Seconds Of Summer – but also saw each ascend to the chart’s summit to claim their first ever airplay #1 within the space of three months. It was simply a case of passing the baton for the trio who together enjoyed an unbroken run of 17 weeks at #1 on the Hot 100, equating to roughly one-third of the charting year. The remaining two-thirds was ruled by an array of international acts including George Ezra, Camila Cabello and the most-played single on Australian radio in 2018 – Rudimental‘s ‘These Days’ ft. Macklemore, Jess Glynne & Dan Caplen. Mustering up 46 consecutive weeks in the chart, ‘These Days’ accumulated just under 20,000 spins nationwide throughout the entire year and was crowned #1 for six successive weeks. Universal Music Australia (UMA) occupied more than a third of each airplay market in 2018, consolidating their market-leading position in the country. Australia was first to champion one of UMA’s top performing single of the year – Noah Kahan & Julia Michaels‘ ‘Hurt Somebody’ (#3) – with the major calling it “a rarity in the current climate”. 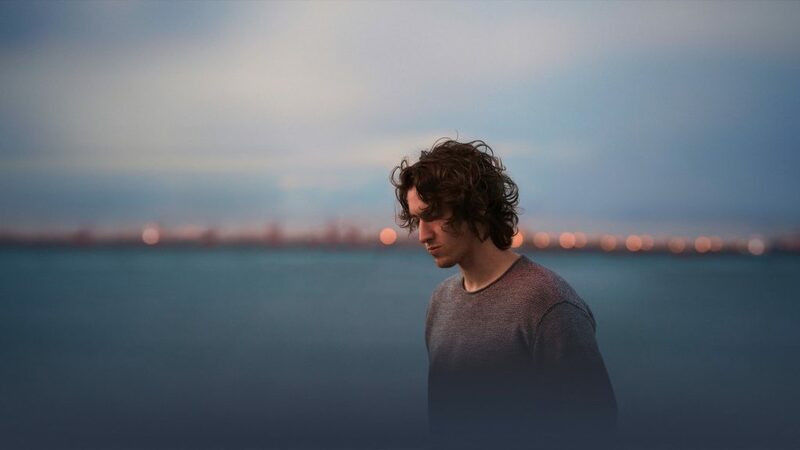 The “instantaneous and unanimous” embrace of Dean Lewis’ ‘Be Alright’ by Aus radio kickstarted the song into global stardom. #31 on the annual chart offers little reflection of the track’s exceptional average position of ≈#5 since first entering the chart in July. Top performers for the label included Shawn Mendes (#63, #43, #9) and Ariana Grande (#90, #84, #16). UMA is excited for new singles from Dean Lewis, Billie Eilish, Hilltop Hoods, Lady Gaga, BlackPink and Post Malone in 2019. Kygo, Camila Cabello and George Ezra showcased the breadth of Sony Music Entertainment’s (SME) international repertoire, but it was a domestic artist that led the way for the major in 2018. Shark surprised commercial radio with two hit singles – ‘I Said Hi and ‘All Loved Up’ – with the former spending five weeks at #1 and a year-end position of #8, making Shark the label’s top performer of 2018. Kygo’s ‘Remind Me To Forget’ (#10) and Cabello’s ‘Never Be The Same’ (#14) were the label’s other top-performing artists. Head of Warner Music Australia Niko Nordstrom declared himself “very happy” with the year that was, and rightly so, with international superstars Rudimental claiming the most spun song of 2018. The group’s track ‘These Days’ ft. Jess Glynne, Macklemore and Dan Caplen was there or thereabouts for the rest of the year following its release in March. Bebe Rexha was Warner’s other big success story last year, with her single ‘Meant To Be’ ft. Florida Georgia Line ending Q1 2018 at the top of the TMN Hot 100, and sustaining good airplay across the year to finish sixth past the post. Meantime, Warner were particularly happy with their success working with radio to push the causes of UK alt-rockers The Wombats and evergreen Canadian Michael Buble. Nordstrom is “particularly excited to present new music from some of [Warner’s] local artists” this year, singling out JXN, EAST, Client Liaison, GLADES, Jack Gray, Busby Marou, Thelma Plum, Golden Features and SAFIA, while also flagging new music from UK’s Dua Lipa in the coming months. EMI’s relatively slow start to the year was overshadowed by a huge second half. Australian four-piece 5 Seconds Of Summer delivered EMI seventh place on the Annual Hot 100 chart care of stellar hit ‘Youngblood’. EMI Australia’s general manager, marketing & media Alicia Reynolds, also pointed to notable performances by Halsey, Bastille, and Jonas Blue in 2018 as tracks that hit their mark at radio. Reynolds highlighted Aussie legend Keith Urban and his tune ‘Parallel Lines’, calling it the “song that just kept on giving”, both on commercial and country airplay charts. If last year was anything to go by, 2019 is shaping up nicely for EMI. Reynolds tells us to keep an eye on the likes of triple j Unearthed High winner KIAN and fellow Aussie Meg Mac, as well as internationals Sam Smith and Maggie Rogers – all of whom are set to drop new music in the first part of the year. Mushroom Labels’ landed three entries on the Annual Hot 100 chart, courtesy of indie mainstay artists Vance Joy and The Rubens. Overall, Mushroom displayed a steady performance across 2018 and kept similar numbers at radio from the previous year. Joy’s ‘We’re Going Home’ was the best performer at #19 on the Annual chart after a peak at #4 in April. Menangle boys The Rubens successfully reached the heights of 2015 single ‘Hoops’ with ‘Never Ever’. Featuring sought-after Aussie vocalist Sarah Aarons, the track finished the year just outside the Hot 40 bracket after peaking at #16.